“The Perfectionists” is a survey of centuries-long human efforts to use precise measurement to create technological wonders. One of its main effects, alas, is to remind you how far beyond the average citizen’s comprehension those wonders are. Author Simon Winchester is a difficult fellow to pin down. His breakthrough book about the making of the Oxford English Dictionary, “The Professor and the Madman,” suggested he came from the world of lexicography. Other books found him exploring seismology (“A Crack in the Edge of the World”), ocean history (“Pacific,” “Atlantic”), the fractious politics of the Balkans (“The Fracture Zone”) and numerous other topics. He’s a curiosity-driven writer unafraid to plunge into fields of study that would scare off many nonspecialists. 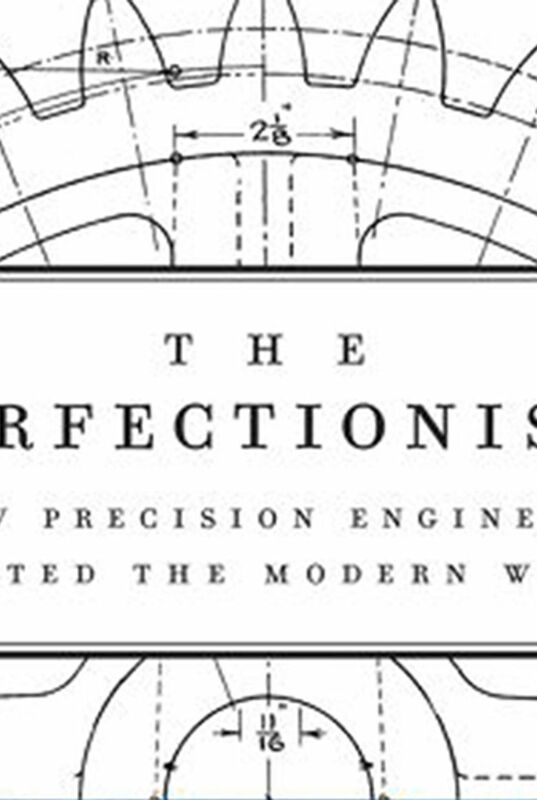 But in “The Perfectionists: How Precision Engineers Created the Modern World,” he may have met his match — or his readers’ match. As Winchester points out, there is an Official History of precision that has a beginning, numerous interim phases and a possible endpoint lurking somewhere in ambiguous subatomic realms. That history, at every stage, has affected nations’ economic and political destinies. One example: The burning of the White House in the War of 1812 can be blamed partly on American soldiers’ damaged weapons needing to be hand-repaired. The idea of interchangeable replacement parts had not yet been put into practice, leaving soldiers defenseless on the battlefield. A tolerance of one-tenth-of-an-inch in the fit of a piston into a cylinder was sufficient, in 1776, to let inventor John Wilkinson prevent James Watt’s steam engine from leaking vast clouds of steam. By the time Joseph Whitworth introduced innovations in drills, lathes and standardized screws at the 1851 Great Exhibition in London, he had honed tolerance to one-millionth-of-an-inch accuracy. Wherever he can, Winchester throws in lively anecdotes, including some from his own boyhood. And when peculiar personalities turn up in his narrative, as they often do, he makes the most of it. Winchester’s courtly prose can sometimes feel a little clotted, but it can be fun too (for instance, when he talks about “anacondas of electrical wires” wrapped around a Rolls-Royce engine). He does his best, sometimes to headache-inducing degree, to help you understand the technological workings of the Global Positioning System (GPS), Hubble Space Telescope and — of local interest — the Laser Interferometer Gravitational-Wave Observatory in Hanford. That may be deeper into the weeds than some readers want to go. But we’re living in this world created by a string of geniuses — so it surely behooves us to try to understand it.